Blue skies, not a cloud in sight. 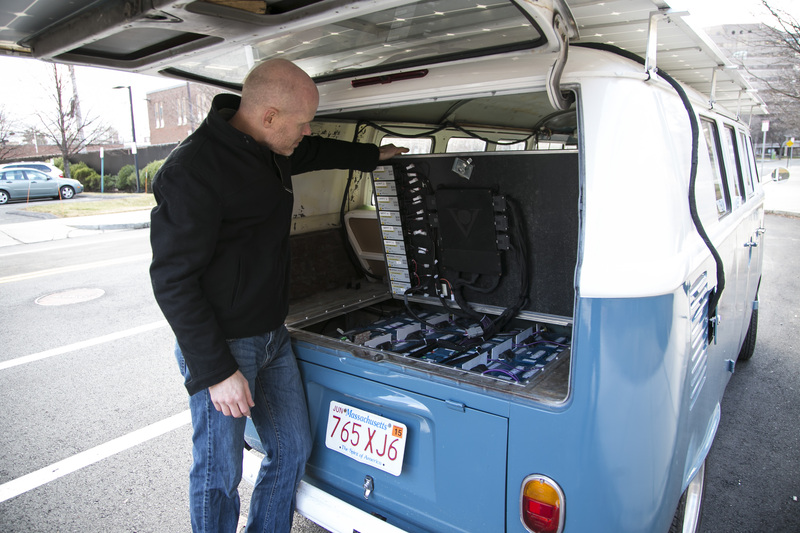 A great day for a 1966 VW Bus under normal conditions; a perfect day for a Bus with ten solar panels affixed to the roof. 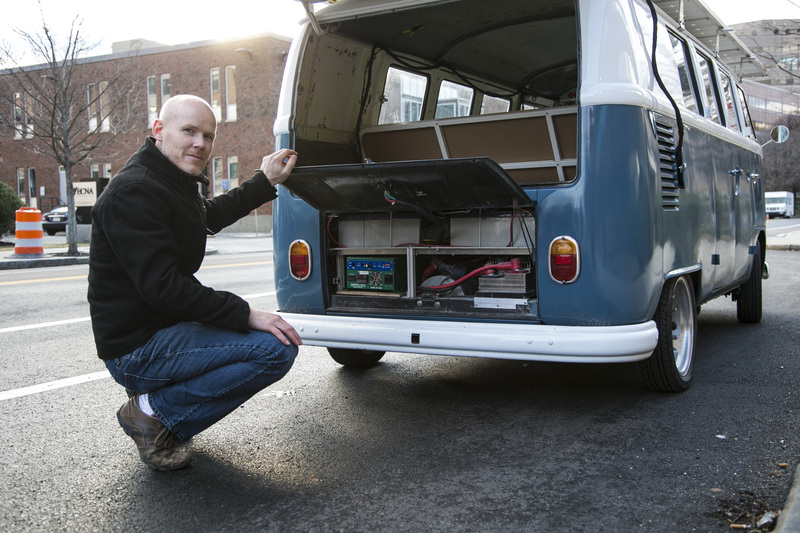 I bought the bus with the intention to convert it to an electric vehicle, but then I decided to take it a step further and try out solar power. 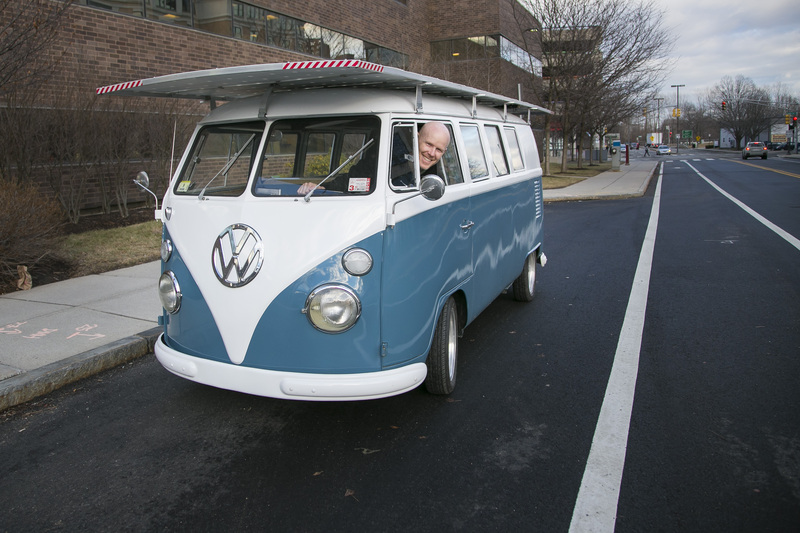 The bus might look a little funny, but it's proving that solar-powered vehicles can be practical. The conversion process was a lot simpler than I expected and only took a few hours. The first thing I did was I connected a potentiometer to the throttle. Then I removed the engine and replaced it with an electric motor. After that, I connected a motor controller to the motor, and the motor controller to the batteries. It was then ready to drive! This vehicle is great for city driving. Slower, flatter routes are best. Driving this vehicle has made me think about the routes I take when driving a normal vehicle. There's a big hill on the way to bring my kids to school and I watched the battery just drain as I accelerated up the hill. But taking a slightly longer, but much flatter route used just a quarter of the energy. Avoiding hills and opting for routes at slower speeds will yield optimal results. Routes with more sun and less tree overhang also increase the range. The Bus can go as fast as 120 kilometers per hour, but again going that fast wastes a significant amount of energy due to wind resistance. It has a range of about 56 kilometers if there's no sun based on energy stored in its batteries. Range can be increased by simply adding more batteries, but since I never drive that far, adding additional batteries would add weight and cost. Being aware of the energy we use to travel is going to become much more relevant as we start using electric vehicles. Why a VW Bus? I was looking for an electric vehicle to transport my family around and there just wasn't one out there. I bought the Bus off Craigslist, and chose it because aside from its less-than-ideal aerodynamics, it is essentially a big box and a perfect platform to experiment on. The Bus gets a lot of attention around town. When I first bought it, my kids would not go near it. They were so embarrassed, but their friends thought it was so cool. I also often get notes left on the windshield when it's parked somewhere, sometimes because it's a VW Bus, other times because it's solar-powered. People have actually stopped in traffic to wave or ask me about it. 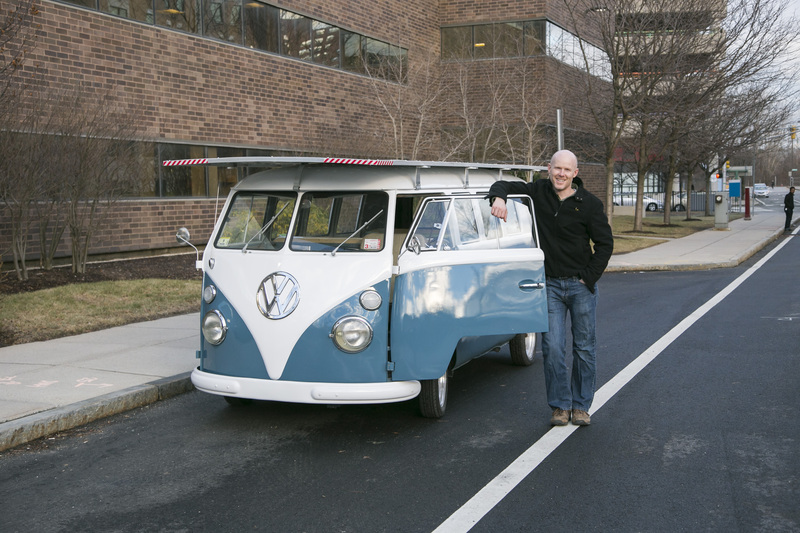 This Bus is more than just a cool project. Vecna has already patented many of the innovations that are making this possible and plans on taking variations of this technology to market for specific industries where it would provide the most value. Our robots also use many of the innovations developed in this project.